Pop legend Michael Jackson is suffering from a rare lung condition and is "close to death", a British newspaper has claimed. Jackson needs to undergo an emergency transplant operation but he is too weak to be rushed into surgery and may even be fighting for his life, the Sunday Express quoted Ian Halperin, who is penning a biography on the singer, as saying. 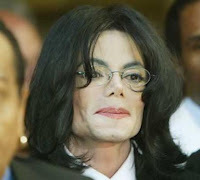 According to Halperin, 50-year-old Jackson has been diagnosed with alpha 1-antitrypsin deficiency, a genetic condition that can be fatal in severe cases, and the singer is now so ill he can barely speak and has lost as much as 95 per cent of the vision in his left eye. "He has had alpha 1-antitrypsin deficiency for years but it's gotten worse. He needs a lung transplant but may be too weak to go through with it. "He also has emphysema and chronic gastrointestinal bleeding, which his doctors have had a lot of trouble stopping. It's the bleeding that's the most problematic part. It could kill him," Halperin said. Author Halperin has also claimed that Jackson's lung conditions, which affects only one in 5,000 Americans, has been difficult to treat due to its associated health problems. "For years, Michael has been working with his own doctors to try to make sure it doesn't progress. He has been on many medications that have stabilised him," he was quoted by the British newspaper as saying. Though Jackson's official spokeswoman wouldn't comment on Halperin's claims but his elder brother Jermaine seemed to have confirmed that the singer has serious health issues. "He is not doing so well right now. This isn't a good time," he told Fox TV News.